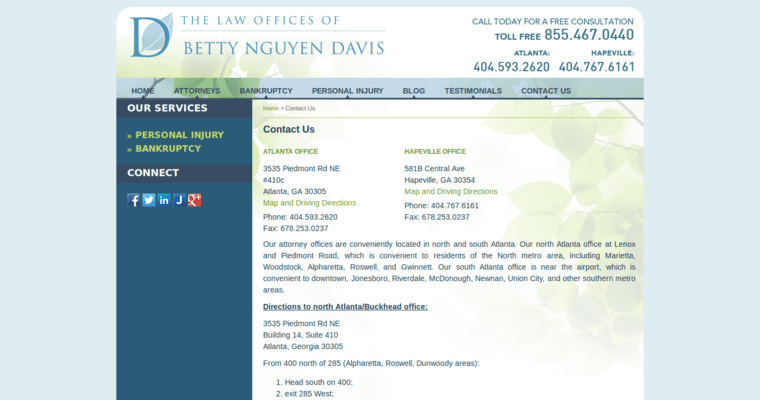 The law offices of Betty Davis offer personal injury and bankruptcy services. They are located in Atlanta and Hapeville, Georgia. 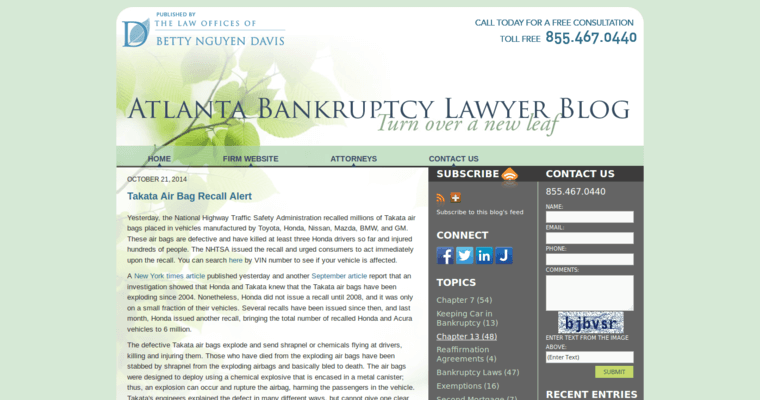 Their legal team offers expert legal services if you are injured or in need of financial relief. Filing bankruptcy can prevent creditors from harassing you, garnishing your wages, foreclosing on your home or obtaining a judgement against you. Personal injury services from medical malpractice slip and falls, wrongful deaths, automobile accidents or even worker’s compensation claims. 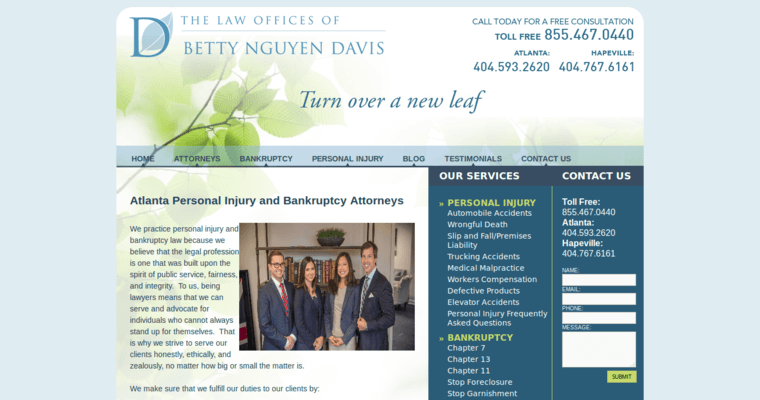 If your injuries were severe or medical bills are over $5,000, then you should speak to someone at the law offices of Betty Davis. People who are injured often have many questions to ask. Speak with an attorney to give you greater peace of mind. No matter whether you have been injured or seeking debt relief help, you will receive professional legal advice about your situation. Don’t hesitate to give them a call to find out what they can do for you.